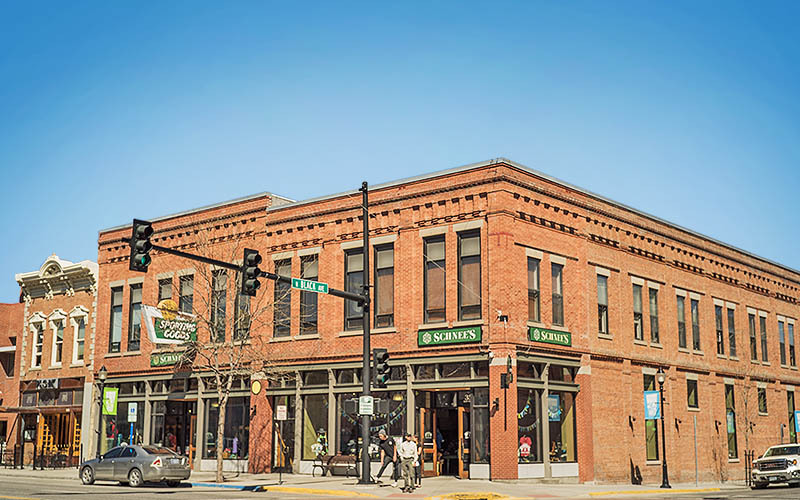 Our flagship store is located in the heart of Historic Downtown Bozeman, Montana. This historic building was constructed in 1903 making it over 114 years old. Since 1946, Schnee's has been serving the needs of serious outdoors-people. Our mission is to provide best-of-breed footwear, apparel, and outdoor products to discriminating customers worldwide, together with world-class customer service. From our headquarters in Bozeman, Montana, we have worked for nearly 70 years to establish Schnee's as a trusted resource for the highest quality products and customer service. Click and drag on any of the images below to explore our store interactively.